Cello dreaming / David Pereira, cello. Pereira has inspired more new works for his instrument than any other Australian musician. This then, is his first solo CD of works mostly written for him, and is the first of three such CDs in the planning. His performances are powerful and persuasive. Contents note: Sequence / Don Banks -- Blue upon blue / David Lumsdaine -- Cello dreaming / Peter Sculthorpe -- Monos I / Ross Edwards -- Rajas / Michael Hannan -- Improvisation & Cadenza / Larry Sitsky -- Of wood / Nigel Butterley -- Tract / Mary Finsterer. Booklet includes programme notes by the composers and biographical notes on the composers and performer. Score: Sequence : for solo cello / Don Banks. Score: Monos I : cello solo / Ross Edwards. Score: Cello : contemporary works for solo cello / edited by David Pereira. Score: Improvisation and cadenza : for solo cello / Larry Sitsky. 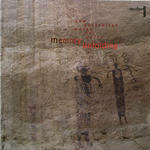 CD: Memory unfolding : new Australian works for cello.